Our passports (with Russian and Chinese visas) are finally back, and with them our Trans-Sib tickets have also arrived. I’ve been getting awfully twitchy in the last few days waiting for them, but now everything is on track and we’re ready to go. Since apparently the world did not end after our last trip (unreliable Mayans! ), it’s time for another installment in our highly successful Asia travel series. We will travel from Stuttgart to Frankfurt by train and then fly to Moscow with Aeroflot. Between Moscow, Irkutsk, Ulan-Bator and Beijing we’ll be using the Trans-Siberian Railway (using the Mongolian route tho, so technically we’ll be using the Trans-Mongolian Railway starting in Ulan-Ude) After a short stop in Beijing (to shower, rest and maybe visit another segment of the Great Wall – or just go geocaching), we’ll be boarding an overnight train to Shanghai. There we will spend two days exploring the parts of the city that we didn’t get to the last time (because of too much EXPO’ing). After that we will ferry over to Osaka with the Su Zhou Hao – like we did back in 2010. Our usual business hotel in Osaka will be our operating base for 2 days – during which we will surely train down to Hiroshima for some Okonomiyaki – before we will move north to Niigata (to visit the nearby Nagaoka Festival which is apparently famous for its big fireworks show). From there we will skip into Hokkaido and Hakodate will become our base – right in the middle between Aomori (so we can visit the Nebuta Festival) and Sapporo. The final stop on our trip will (obviously) be Tokyo where we will have our sushi breakfast, maybe make another trip to look at Mt. Fuji and do souvenir shopping before flying back to Frankfurt (via Moscow). To get back to Stuttgart we will probably have to use a City Night Line train, because we will be arriving too late to catch an ICE and sitting around at the airport for 8 hours (when there is an alternative) is not really my preferred way to spend the night. 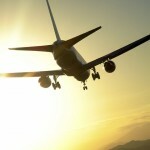 Asia 2012 – It’s on! 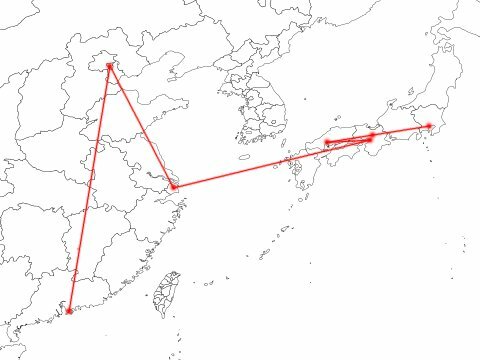 As can be seen on the map below, we’ll be flying from Germany to Seoul (via Istanbul) and later from Seoul to Naha (via Fukuoka). After our stay on Okinawa, we will fly back to Fukuoka and from there the rest of the travel through Japan will be done via train (that’s what we have the JR Rail Pass for). We’ll exit through Narita and after a short weekend in Istanbul (we’re flying through there anyway – so why not have a look around), we’re returning back home to Germany.